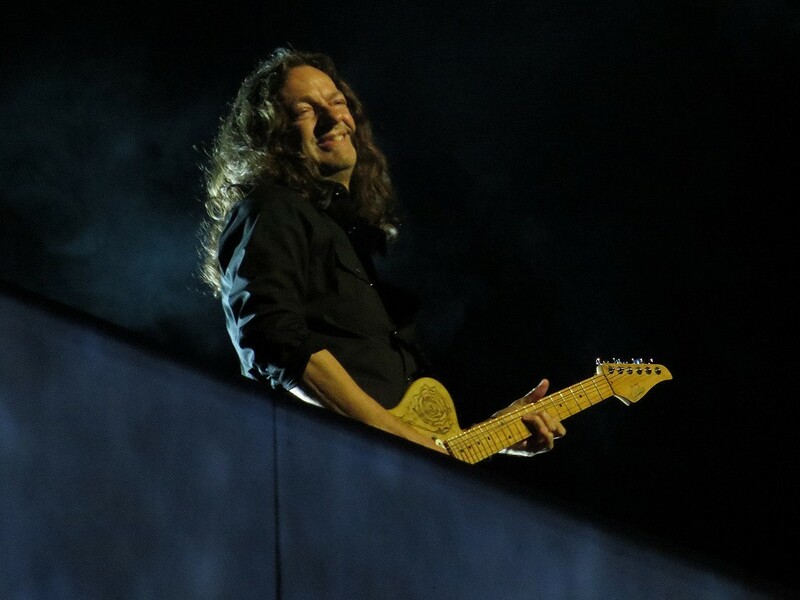 With the 2013 Roger Waters tour of The Wall now concluded, guitarist Dave Kilminster is not resting on his laurels. For some time now he has also worked with fellow singer and guitarist Murray Hockridge, in the studio and on the road, and they have just finished their latest album, Closer To Earth. The album can now be bought through the CherryRed.co.uk website, and also through iTunes for those with iThings. 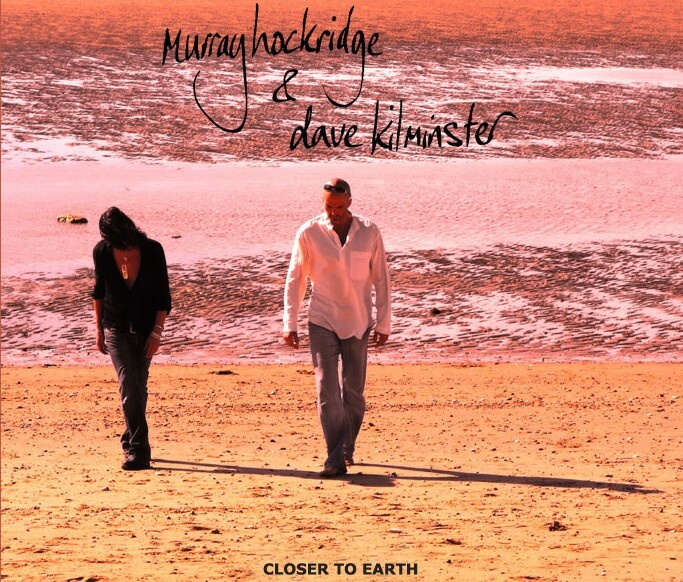 Closer To Earth brings together a range of cover versions; a really interesting selection has been arrived at, which eminently suit Dave and Murray's vocal and guitar performances, and - unsurprisingly - there's a Pink Floyd cover included: Wish You Were Here. The album contains a really nice variety of songs – and nothing from The Wall! Was that a conscious decision as you’ve now got to know that particular material extremely well? What drove the selection of tracks for the album? Were they personal favourites between yourself and Murray? Also ideally they had to be songs where we could deconstruct it, put our own stamp on it, and take it somewhere new... like we did particularly with 'Brown Eyed Girl'. For some of the choices though, there were a couple of tracks that I really wasn't familiar with... tunes like 'Sara Smile' and 'Father Figure'. So the way it worked, was that Murray would suggest something, then I would sit in the studio listening to it on his iPod... and five minutes later we were recording it!! The very beginning of Rocket Man sounds a lot like Breathe, from The Dark Side of the Moon – coincidence? But it just fits so well, and it really gave the song a special atmosphere... an almost spacey feel, which of course was perfect for the subject matter of the song. Having quite recently seen 10cc perform I’m Not In Love, I was particularly impressed with the more restrained reading by you and Murray of this great track. Did the mid point of the song take a bit of working out as to the best approach? Yeah, when Murray suggested doing this song, I was a little concerned about trying to recreate that beautiful mid section. Especially as the entire album is played on acoustic guitar, and so I really didn't want to cop out and use a keyboard!!! We initially considered recording an edited version without that section, but it just didn't seem right.... so in the end, I didn't so much work it out as just dive straight in and start playing it... just layering up various acoustics using an Ebow and a volume pedal, and then adding some acoustic picking and some unusual guitar noises until it took on the particular dreamy vibe that I was after. I really love that song actually... 10cc wrote some incredible music, and I was quite proud of our version of it... especially the 'bass guitar' part in the middle (again just me on acoustic), and the 12 string overdubs which, (to me, anyway) sounded a little like a harpsichord. I even sang the intro and middle eight too!! The album concludes with a great version of Wish You Were Here. Was this track a clear cut favourite for inclusion in the album, or did you consider other tracks by the Floyd, or Roger? 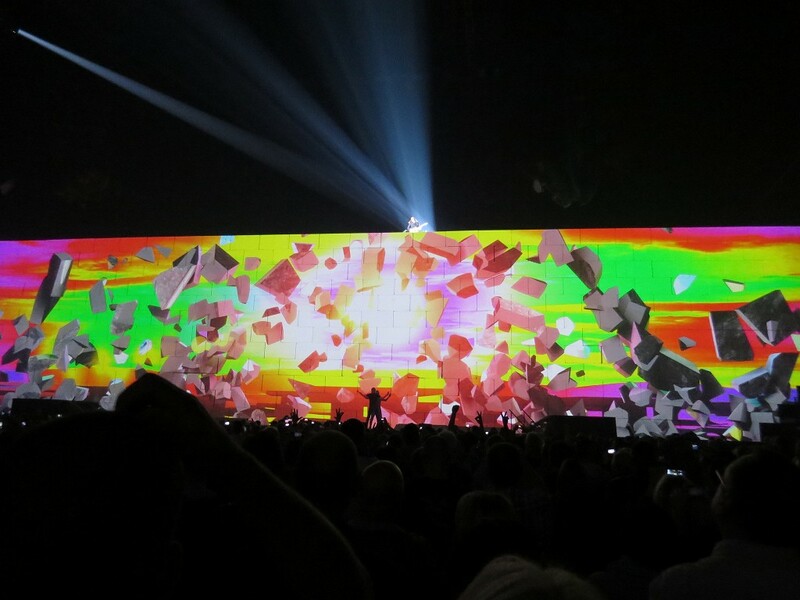 On the subject of Pink Floyd, and Roger Waters, let’s move to the recent little tour you were part of! 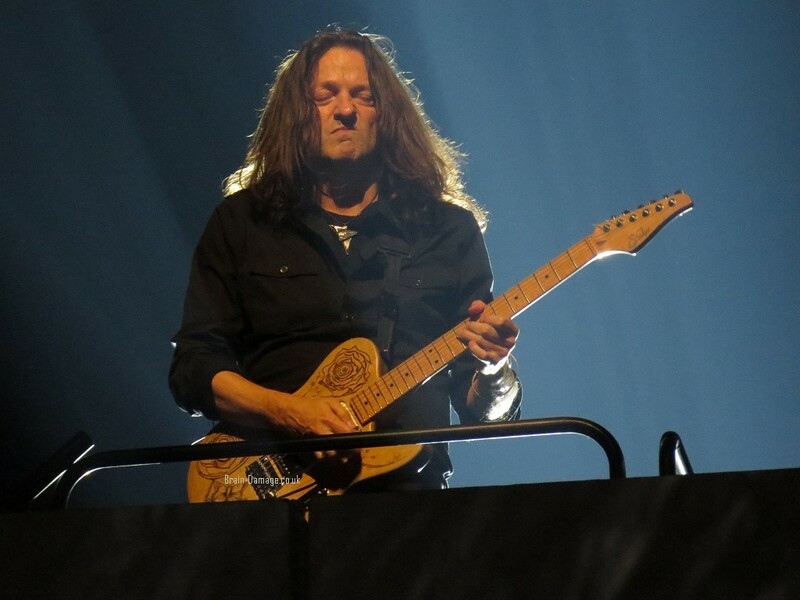 You got a deserved strong reaction from the crowds each night, particularly for the Comfy Numb solo. Did you have any trepidation in what some rather negative (and deluded?) fans called “taking Gilmour's place”, in particular for this incredibly iconic moment in the show? Yeah, the pressure was pretty intense!!! Anyway no, I didn't really have a problem with heights.... although saying that, the platform itself did feel a little unsafe, and would accentuate any movements that I made while I was up there (sort of like standing up in a little dinghy), so it did take some getting used to. 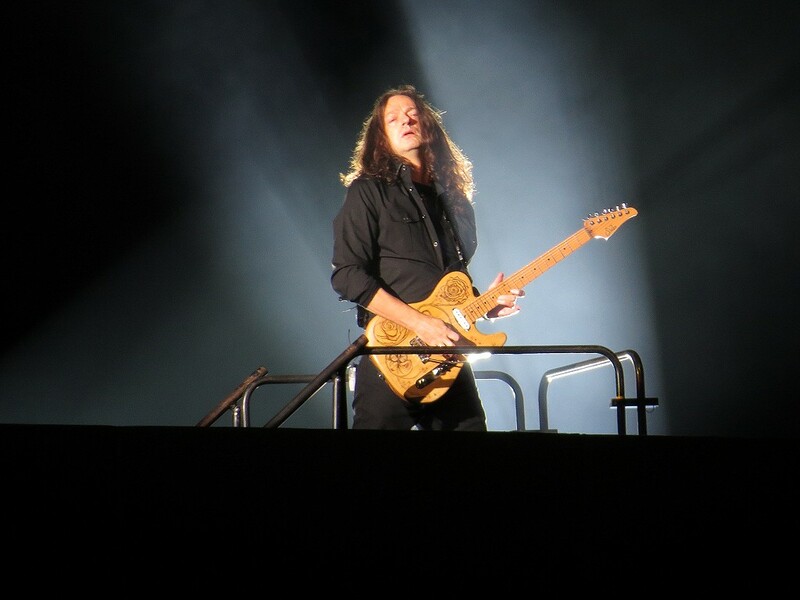 Gilmour's guest appearance caused a huge amount of speculation running up to the show at the O2, when he finally appeared. What was the atmosphere like that day, and how was the interaction between you both? It was a fun day!!! Actually it almost felt like a day off for me, as I didn't have to go up on the wall!! So that night when it was time for David to do his spot, Robbie and I decided to venture out into the audience to watch.... So we stood over by the wheelchair section, and the audience reaction when they realised it was Gilmour up there was quite amazing!!! I definitely got goosebumps along with everyone else!! Were there any frustrations or unfulfilled wishes you felt, either on a personal level, or as a musician, with The Wall Live? Also, what we affectionately referred to as the 'gay biker boots' that we wore on the front stage were a bit of a nightmare too... unfortunately they had treads so wide that sometimes you'd try and stomp on an effects pedal, and the switch would just fit perfectly into the boot tread and so nothing would happen!!! I guess you’ve got quite a number of special, treasured moments from the tour, both on AND off stage – which of these in particular stand out? As for off stage.... after one of our concerts at the Staples center in Los Angeles, we went for a late snack at a restaurant... we were shown into this private room and I sat at one of the last seats available, which happened to be on a table away from the rest of the band. The girl next to me (whom I'd met very briefly backstage earlier) introduced me to her friend 'Drew' sitting opposite... I looked up... "Hi Drew" I said, smiled, and then looked back at the menu... I guess I was a bit slow that night, because it took a minute or two before I realised that it was actually Drew Barrymore sitting opposite!!! Given the way you all, as Roger's musicians and vocalists on The Wall Live, gelled together so well, how involved are you all on Roger's new album? Yeah, I read that he's doing an album!!!! Hahaha... of course I'd love to be involved... I'd love the whole 'family' to be involved actually, as we do all get on ridiculously well!! But I really don't know what Roger has in mind yet.... we'll see!! What's next for Hockridge and Kilminster, both as a duo, and individually? More recording? Live work? Also, last April I started recording another solo album (the follow up to 'Scarlet - The Directors Cut')... all the drums, bass, rhythm guitars and acoustics are done, so it's just solos and vocals to do... and I'll probably score some string parts too. So I'd love to finish that early next year... I'd also love to tour the US and Canada with Murray next year too, and maybe record an album of our own songs... but who knows... we make plans, and God laughs!! !